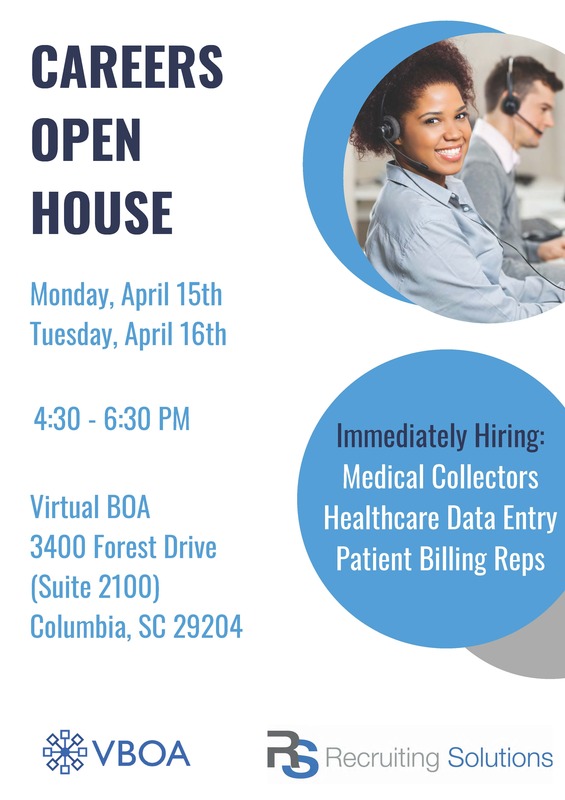 On Monday, April 15 and Tuesday, April 16, Virtual Business Office Associates and Recruiting Solutions will host an Open House for job seekers in the Columbia area. We have immediate openings within our Healthcare division — everything from entry-level Billing Associates all the way through Director-level positions. If you’re interested in moving your career forward, we want to meet you. This event is FREE and open to the public. Light refreshments will be served and attendees will have the opportunity to meet with recruiters and learn more about our operation. Current employee? Don’t forget you are eligible for referral bonuses for each qualifying new hire! 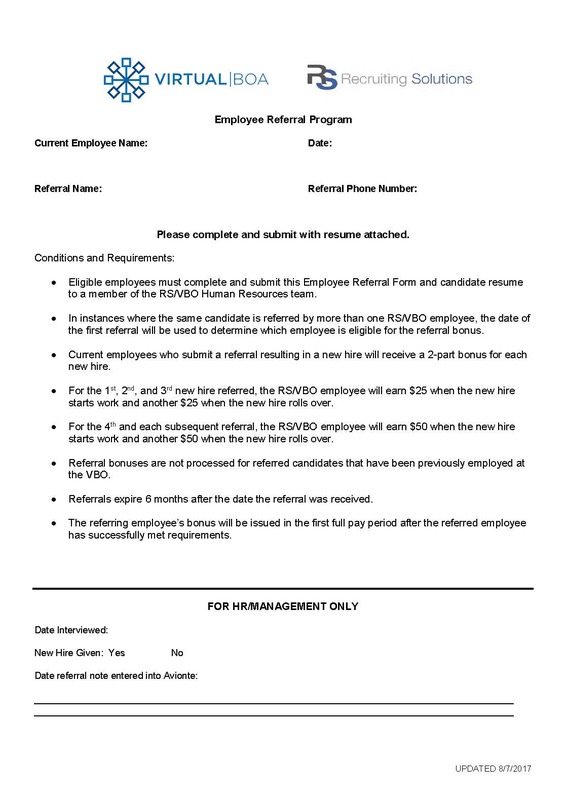 Click on the link below to download the Referral Form and, when completed, return it to HR!